I think of Clematis armandii as ivy with flowers. And there is not much space between the flowers at peak bloom. Better still it doesn't stick to the wall or pull off stucco, though it will wrap its leaves around a fence and never let go. I love the dark green foliage, and the flowers make the month of February in my garden. 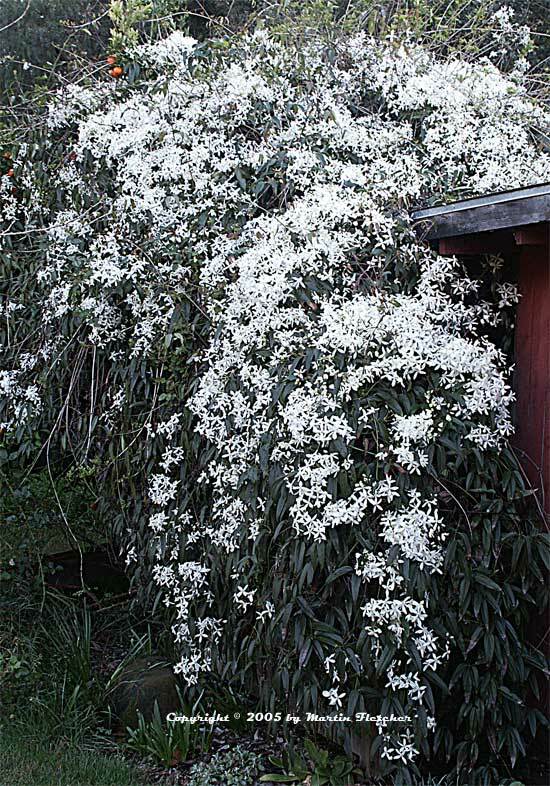 As you can see, Clematis armandii can cover a building. Clematis armandii the Evergreen Clematis covers a house.